Hello everyone, and welcome to round three of Exploding Shorts Month! Today I have the second assignment I completed for my intro to filmmaking class: a documentary short on contemporary pacifism. 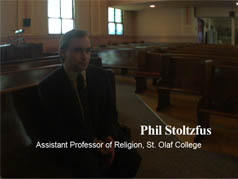 These two interview subjects were fascinating and I hope to put up some extended cuts of the interviews sometime soon. I have also added Anti-Film (a triptych), my contribution to the Filmmaker Deathmatch, to the Exploding Shorts site.